Both sessions are winding up; my writing class, The Python Process, will be wrapping up with a staged reading on February 21 at 7 pm at the Chris Farley Theatre at the iO. This group has been turning out some incredibly funny material, week after week, and the audience is going to have a great time. My improv class, PythonProv, will be performing beginning at 7 pm February 26 in the same space, and this one will be just as funny. Improvising in the style of @montypython is not the easiest thing in the world, and we may be the first group that’s made a serious attempt at it. And it’s going so well that we’re not going to let it drop after this session ends. And that’s why we’re going to continue on to a second level of PythonProv with the same group. So why am I telling you all this if you aren’t in the group? 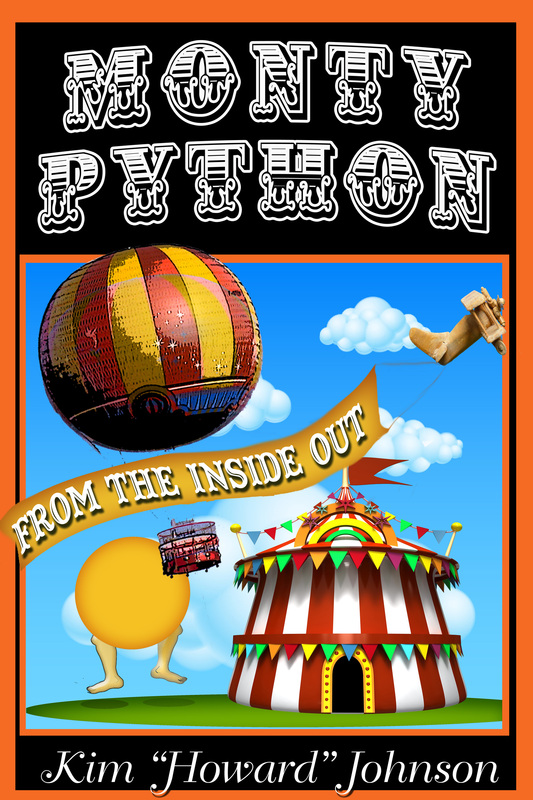 Because we’re launching another session of PythonProv Level One classes beginning on Sunday, February 28. I don’t want to tell you how we do it, but I’ll give you one hint: while doing a long form improvisation, we chip away at everything that doesn’t look like #montypython. And it’s working! If you’re interested, contact the iO Chicago. If you like Monty Python and improvising, you’re going to have a blast. This entry was posted in #chicago, Improv, Monty Python, Uncategorized and tagged #montypython, Graham Chapman, Improv, improvisation, iO, iO Chicago, iO theatre, Monty Python on February 5, 2016 by howardjohnson1985. On January 8, 1941, Graham Chapman made his first appearance in Leicester, England. According to his autobiography, however, he was born in Leamington on February 7, 1942. Of course, one should keep in mind that it was titled A Liar’s Autobiography, and that should be enough to give you a pretty good idea of the sort of strangeness that Graham embraced his whole life. This is a photo of the second time I met Graham, in April of 1976, backstage at the City Center. I would be embarrassed at my leisure suit and ridiculous hair, except I’m with Graham, and Graham was never embarrassed about anything. Boy, do I miss him. This entry was posted in Monty Python, Uncategorized and tagged #montypython, Graham Chapman, Monty Python on January 7, 2016 by howardjohnson1985. This entry was posted in Monty Python and tagged Graham Chapman, Michael Palin, Monty Python on December 22, 2014 by howardjohnson1985. This entry was posted in Monty Python and tagged Graham Chapman, John Cleese, Monty Python, Terry Jones on October 5, 2014 by howardjohnson1985. Twenty-five years. A quarter of a century. 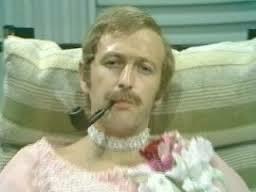 That’s how long ago Graham Chapman was snatched away from us after his battle with cancer on October 4, 1989. Graham and his son John Tomiczek were in Chicago over a long weekend, when Graham was on one of his lecture tours. I had met up with them, as I usually did, showing them some of the more interesting people and places, catching up, and having a good time in general. Not long after they arrived, they made an unfortunate discovery: the hotel did not provide laundry service over the weekend. None of the other options had a sufficiently short turn-around time, and they wouldn’t have a chance to get their laundry done before leaving town. They had been counting on this and were down to the last of their supplies. When I arrived at their room, Graham was concerned enough to mention it to me. Don’t worry, I assured him, I know what we can do. And so, we piled into my car, laundry in the trunk, and headed to my parents’ house in Ottawa, Illinois. It’s hard to imagine what Graham would be up to now if he were still with us (though I’m sure he’d be more organized with his laundry). Still, I can’t help thinking how unfair it was that he wasn’t about to join the other five at the O2. But I can tell you this: for the limited number of days he had, Graham lived each one to the fullest. This entry was posted in Monty Python and tagged #montypythonlive, Graham Chapman, John Cleese, John Tomiczek, Michael Palin, Monty Python, Ottawa, So anyway on October 3, 2014 by howardjohnson1985. 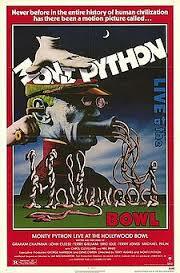 It was 34 years ago this week that the Pythons played four nights live at the Hollywood Bowl. At that time, none of them would have dreamed that they’d be playing ten nights at the O2 in London 34 years late. For one thing, the O2 didn’t exist. But at the time, it seemed like the high point of Python, and in many ways, it was. They were still active, making movies together. They were all together, including Graham, along with other fans and friends who were hanging out at the Bowl that I now miss very much, including George Harrison, Harry Nilsson, and John Tomiczek. This entry was posted in Monty Python and tagged George Harrison, Graham Chapman, Harry Nilsson, Monty Python, Monty Python Live, Monty Python Live at the Hollywood Bowl on September 25, 2014 by howardjohnson1985. 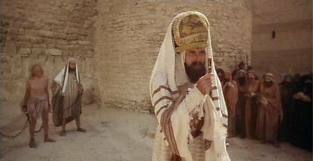 This entry was posted in Monty Python and tagged Graham Chapman, life of brian, Monty Python, Monty Python's Tunisian Holiday, Tunisia on September 15, 2014 by howardjohnson1985.